Thanks for 2014 (32 Events in All)! 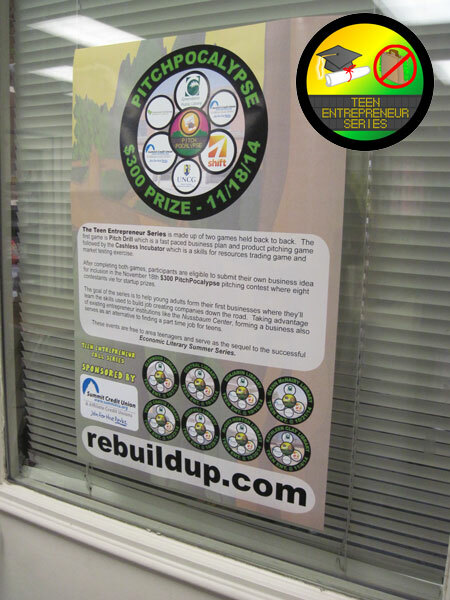 Big thanks to all of the volunteers and sponsors in 2014 who helped make our 32 ReBuildUp events for approximately 500 participants possible. 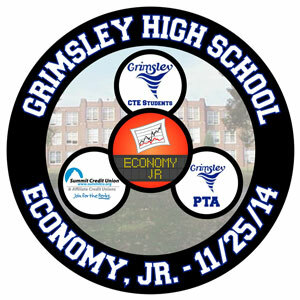 Special nod to sponsors Summit Credit Union and Greensboro Municipal Credit Union who sponsored several events throughout the year. 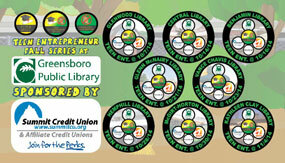 Greensboro Public Library was also a major help by hosting 17 of these 32 events. 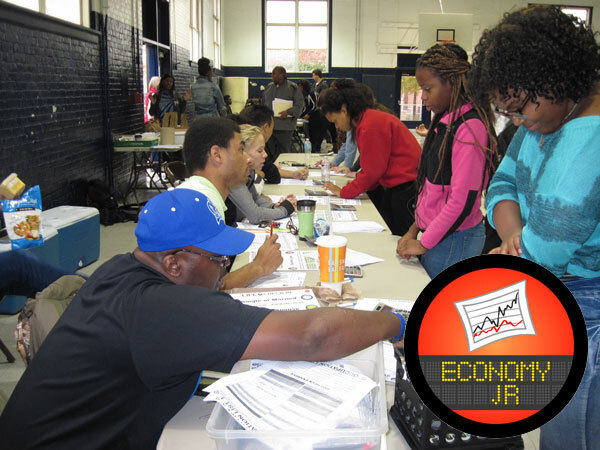 Click Here for details and pictures of each event. So again, much appreciation and looking forward to making an impact in 2015! 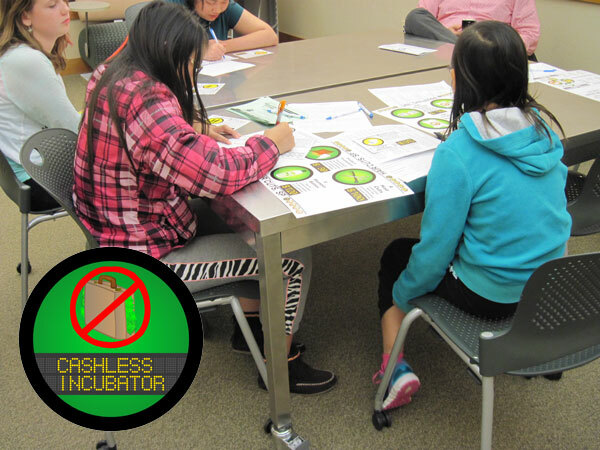 Good competition between teams in both Pitch Drill and the Cashless Incubator. 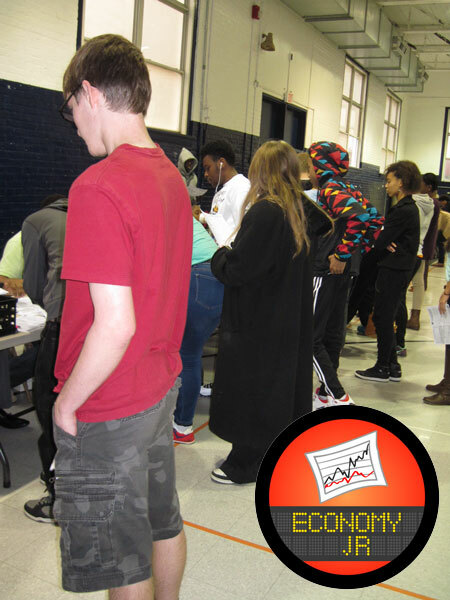 This was the 7th event of the series sponsored by Summit Credit Union. Teams planning their products during Pitch Drill. 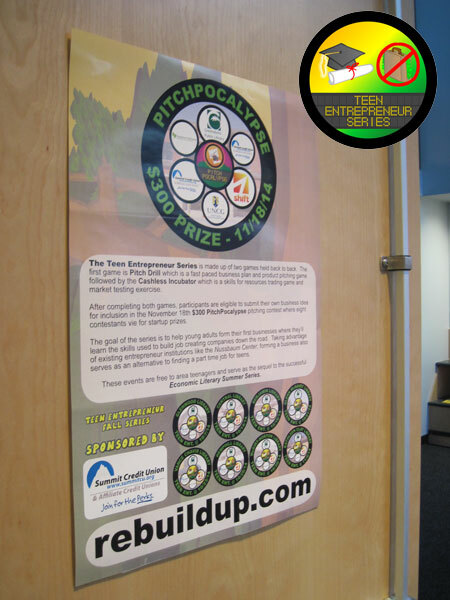 Team #1 got the win in Pitch Drill and Finalist #2 won out in the Cashless Incubator. Looking forward to some of their $300 PitchPocalypse contest entries. 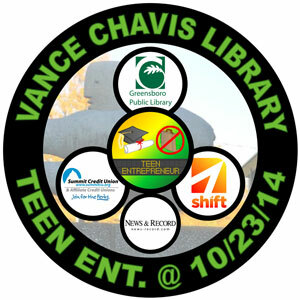 Final stop of the Teen Entrepreneur Fall Series will be Kathleen Clay Library on Tuesday, November 4th 6-8pm. This event will be FILMED for a news story so please come out and take part. Call 336-373-2923 to RSVP or just show up. PUBLIC (FREE) EVENT – Next to last stop for the Teen Entrepreneur Fall Series tonight 6-8pm at McGirt-Horton Library sponsored by Summit Credit Union. 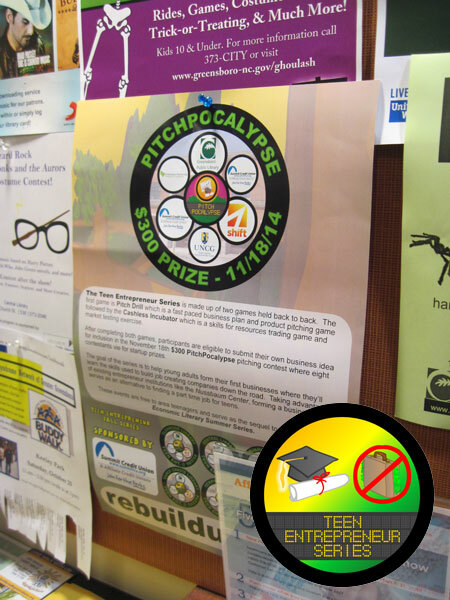 Pitch Drill will be followed by the Cashless Incubator and playing both makes you eligible to enter our $300 PitchPocalypse pitching contest. 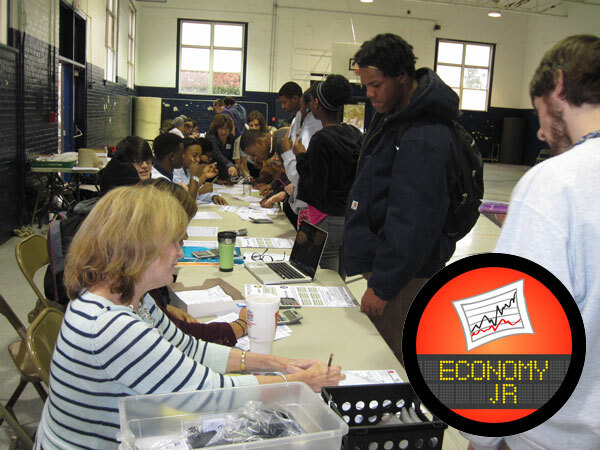 Call 336-373-2015 to RSVP or just show up. 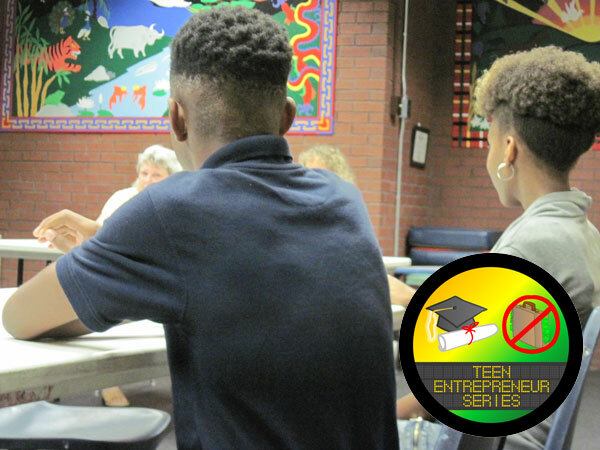 Fun time with the players at Hemphill Library taking part in the Teen Entrerpreneur Fall Series sponsored by Summit Credit Union. 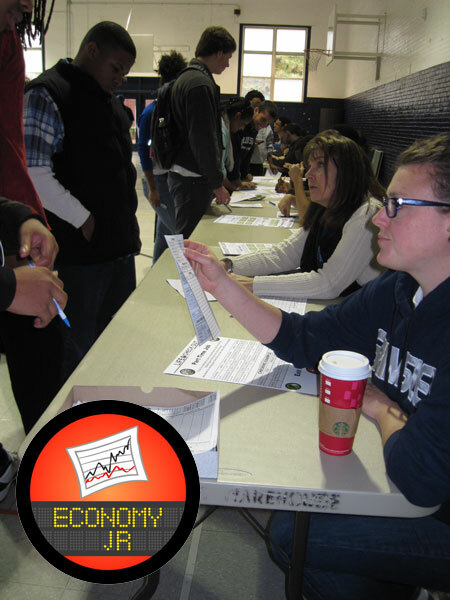 And the pitches… Congrats to Team #4! 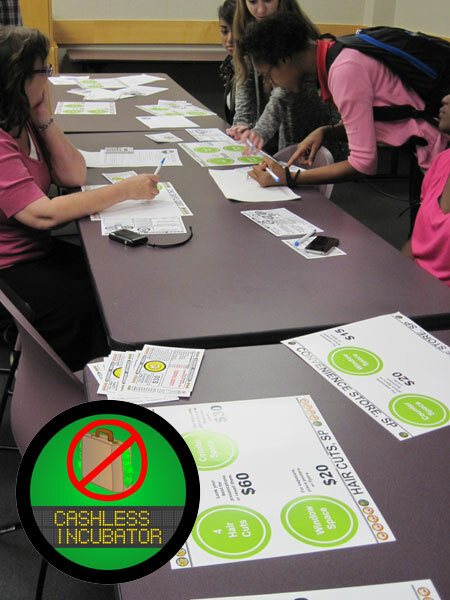 Cashless Incubator in full swing with Finalist #3 taking the prize with their solution for the News & Record headline about the recent Jury Duty Phone Scam. 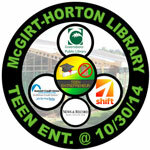 Next up, McGirt Horton Library on Thursday, October 30th 6-8pm. Call 336-373-5810 to RSVP or just show up. 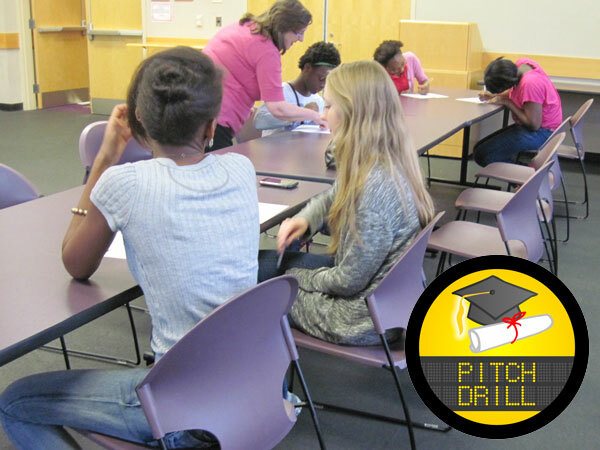 Remember that players are automatically eligible to compete in our Tuesday, November 18th 6-8pm $300 PitchPocalypse pitching contest at Central Library. 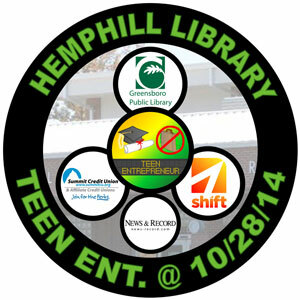 PUBLIC (FREE) EVENT – Hemphill Library hosts the Teen Entrepreneur Fall Series on Tuesday, October 28th 6-8pm sponsored by Summit Credit Union. 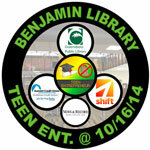 The Teen Entrepreneur Fall Series is sponsored by Summit Credit Union. 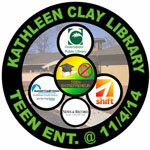 Call 336-373-5838 or just show up at the event. at 6pm.